Update: Shortly after the Ontario Provincial election in June 2018, the GreenON incentive programs were shut down. ORTECH will monitor the situation for any updates or new programs related to Solar PV. Net metering allows an electricity user to install a solar PV facility onsite to generate electricity for internal use, with any excess going to the grid for a credit on future electricity bills. Net metering has been an option in Ontario since 2015 and is governed by Ontario Regulation (O. Reg. 541/05: Net Metering). However, only recently has the price of electricity and the cost of installing a solar PV facility made net metering with solar PV worth considering. 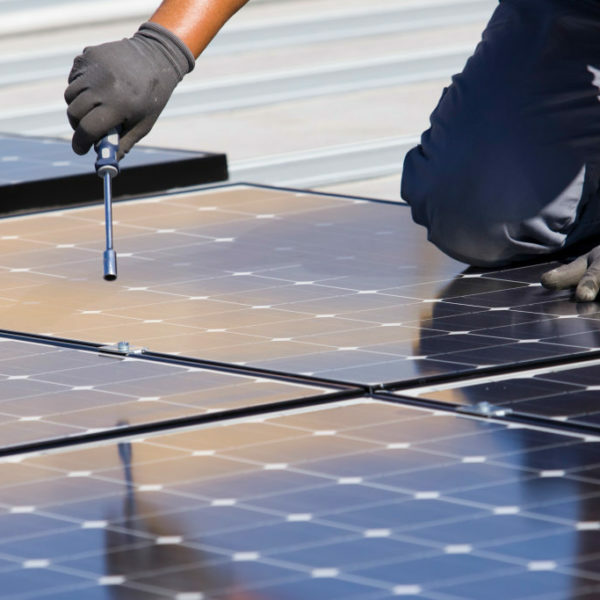 Some key business drivers that the Client should consider when evaluating whether net metering with solar PV makes sense now (2018) are: the risk of electricity price increases; time sensitivity for incentives; cost savings; and the company’s reputation, which will benefit from generating “green” electricity. So what are the rebates available for Ontario Businesses? First, ORTECH can assist you with the business case. Does this make sense? How much will this system cost? How much will I save? What are the first steps? Contact us to find out. ORTECH has created a list of items that are recommended to initially move forward with a Solar Net Metering project. If you are interested in seeing if a solar PV system would make sense for your facility, please contact ORTECH today. Older PostInfographic: A Quick Guide to Managing Odour Complaints!